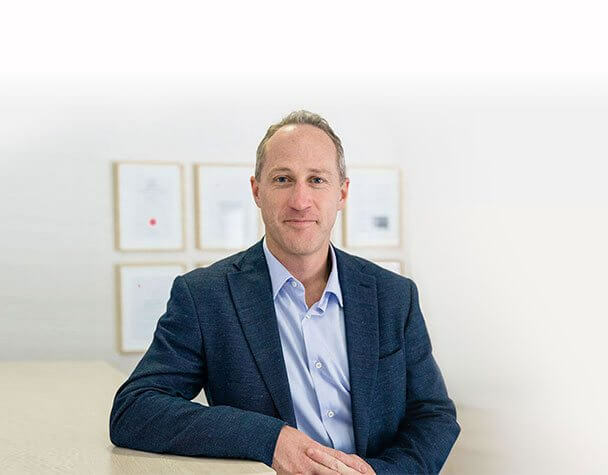 Dr Rory Dower is a specialist plastic surgeon with expertise in a multitude of aesthetic and reconstructive procedures, including Breast Augmentation and Facelifts. Globally trained under the tutelage of some of the world’s leading plastic surgeons, Dr Dower completed his FC Plast Surg (SA) and MMed (Plast Surg) in South Africa and holds board-certification. Tireless in his commitment to his patients, Dr Dower does not compromise. He knows the only way to achieve natural-looking results that endure over time is through proper technique, executed with precision. He is dedicated to achieving results that make individuals look and feel beautiful, offering enhancement in a relaxing setting that places patient safety and comfort in the highest regard. Through caring, individualized attention and a transparent consultation process, Dr Dower extends a treatment experience that prioritizes your unique needs and can help you fulfill your cosmetic desires. At Dr Dower’s practice, quality, safety, and compassion form our core values. Achieve a harmonious balance between your facial features and restore your youthful beauty with a facelift, rhinoplasty, or other procedures. Attain your ideal silhouette with a breast augmentation, breast reduction, breast lift, or other procedures that can help you enhance your unique body proportions. Improve your body contour with procedures like a tummy tuck and liposuction, or achieve comprehensive enhancement with a Mommy Makeover. Refresh your skin and diminish signs of aging with our gentle dermal filler treatments and other rejuvenation options. Dr Dower melds his extensive surgical training with a well-developed artistic eye to fulfill your cosmetic goals in the most effective way possible. Our medical spa services provide non-surgical rejuvenation, allowing you to achieve your ideal look with minimally invasive techniques and little to no downtime. We administer treatments chosen by Dr Dower himself based on your areas of concern. Dr Dower believes there’s no reason why medical-grade treatments cannot be delivered to pamper and indulge his patients, which is why we offer an intimate and personalized service designed to meet your needs. Whether you seek anti-wrinkle injectables, dermal filler treatments, or comprehensive skin rejuvenation, our aesthetician is trained to incorporate techniques that promote relaxation and renewal. Achieve results that appear remarkably natural with treatments marked by expertise, professionalism, and aesthetic acumen. Maintain a vibrant, healthy, and youthful appearance without the need for surgery. In the midst of your youthful vitality, you may begin to seek enhancement of a particular body region or desire rejuvenation treatments to refresh and replenish your skin. An age of thriving beauty, patients seeking enhancement may wish to reverse the physical tolls of pregnancy or resolve initial signs of aging, such as fine lines, facial creases, and a loss of skin elasticity. Signs of increasingly prominent facial aging may belie your inner prosperity. Complement and refine your natural features by restoring the youthful contours of your face and body. Combat the effects of the aging process and highlight your healthy, vibrant beauty with a range of non-surgical and surgical treatments designed to provide natural-looking enhancement.